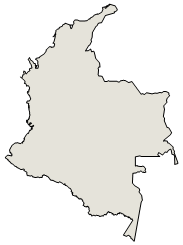 Colombia experienced accelerating growth between 2002 and 2007, chiefly due to improvements in domestic security, rising commodity prices, and to President URIBE's promarket economic policies. Foreign direct investment reached a record $10 billion in 2008, and continues to flow in, especially in the oil sector. A series of policies enhanced Colombia's investment climate: pro-business reforms in the oil and gas sectors and export-led growth fueled mainly by the Andean Trade Promotion and Drug Eradication Act. Inequality, underemployment, and narcotrafficking remain significant challenges, and Colombia's infrastructure requires major improvements to sustain economic expansion. Because of the global financial crisis and weakening demand for Colombia's exports, Colombia's economy grew only 2.7% in 2008, and 0.8% in 2009 but rebounded to around 4.5% in 2010. The government has encouraged exporters to diversify their customer base beyond the United States and Venezuela, traditionally Colombia's largest trading partners; the SANTOS administration continues to pursue free trade agreements with Asian and South American partners and awaits the approval of a Canadian trade accord by Canada's and EU's parliaments. The business sector remains concerned about Venezuela's trade restrictions on Colombian exports, an appreciating domestic currency, and the pending US Congressional approval of the US-Colombia Trade Promotion Agreement.